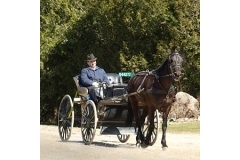 The Horse and Buggy TrailThe Horse and Buggy TrailThe Horse and Buggy Trail is a unique tour of tidy Mennonite farmsteads, old villages and historic country stores just a short trip from the GTA and southern Ontario. It is a visit to where we all came from over a century ago when the villages were just a comfortable buggy ride away and where farm products were traded for mercantile store goods and comestibles. Take this opportunity to have a peek into the special world of the Township of Southgate's Mennonite community and a rural lifestyle reminiscent of the settlement of Grey County. Local food, family fun and traditional furniture and sewing crafts just a short drive away. The Trail celebrates our rural ancestry and a chance to be immersed in a time honoured culture that cherishes home and family in a traditional way but welcomes visitors in too. So don't delay. CHUMP YUSHT NEI! Pennsylvania Dutch for Get on board.